Just got back from kefalonia. we stayed at Oskars studios in lassi. We had a fantastic time. Roza and her family are just great they make you feel so welcome. Lassi is beautifull the bars and restuartants are great too. We never had one bad meal. This was our first time in Kefalonia and we will defanitly be going back. Argostoli is also a lovely place we went to Luxouri on the ferry we hired a car drove to Mytos beach which is beautifull we went to Assos Sami and agia efimia bay all beautifll. The beaches are lovely to. I know the family “OSKARS” very well, they are very friendly and very hardworking. We also know the restaurant Oskars is very good, for my family the best in Kefalonia. We know this because we have been many times to Kefalonia (18). We know for many years they have many problems with some tour operators who try to sabotage their business by talking nonsense, with very clever and experienced marketing tricks. Tourists who come to Kefalonia for the first time have no experience of OSKARS and so it is easy for tour operators to cause confusion about OSKARS and tell them not to go. Some tour operators are very angry with OSKARS! If you are new to Kefalonia you won’t understand why, because I have been many times I will explain so that you will know why! OSKARS have a very good website on the internet which is very good for tourists, they advertise other businesses as well this is not good for some tour operators business. They advertise direct booking of cheaper excursions, car hire, accommodation and information for arranging wedding parties and celebrations. OSKARS would like everyone to book direct with OSKARS (cheaper for customer/ better value) and not book a package with tour operators. Please check these comments and stand up for the truth and what is right visit OSKARS and you will see these comments are true. OSKARS keep up the good work! Your previous guests all love your family and your restaurant. 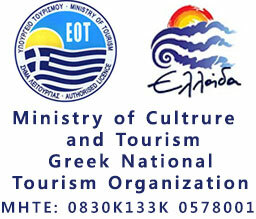 I’m a rep on Kefalonia this year (2014). I would like to tell to Mr. oskar to keep up the good work and I do say in private the best words for your restaurant because you have one of the best places, food, atmosphere and service is high class. On the welcome meeting I do not recommend your restaurant because I have been told from my manager what restaurant to recommend. I really want to stay on kefalonia for the rest of the summer so I do as I am told. I respect the people from my country and I want to give them correct information’s but………. I have seen a comment on your website from another rep called Alison in 1-8-2012 and I agree with her 100%. It’s not the reps fault about what is happening against your business, we only say what the manager wants us to say otherwise they will send us home. We stayed at Oskars studios in Lassi for 1 week just on the Fanari road on the way to the lighthouse 5′ min away from kalamia beach, very nice and relaxing. Is a relatively unspoiled village at the north of Kefalonia. The entire place looks very romantic. This beach is beautiful with cystal clear waters warm waters and golden sand, it does get very busy. Amazing views of the planes as they come in to land, sea shallow quite far out so safe for children. Oskars is a wonderful accommodation, set in a beautiful location and run by lovely family man. You will not be disappointed if you book to stay at Oskars studios on the fanari road in Lassi. The accommodation has the best views we have ever had during our visits to Kefalonia and the room we stayed in was fantastic. The room itself was perfect and the room facilities were the best we have had in an apartment. Andreas and Rosa, who owns the accommodation, is very welcoming and friendly. We were getting married while on the island and so had a number of friends and family visiting the island at the same time. As such ourselves and a small group of our friends also attended at Oskars restaurant and Amvrosia restaurant must the evenings… It was brilliant and ludicrous value for money! In sum, we would highly recommend this accommodation to anyone visiting the Lassi/Argostoli area. Argostoli is the right place to stay in Kefalonia, since leaving from there you can easily reach the several, fantastic beaches of the island, one of them, Makris Gialos Beach, at 5′ driving distance. Oskars studios is located on the hill behind Argostoli, with a very nice view of the bay and of Lixouri village in front. Our room was perfect, with windows on two sides and a balcony with an exceptional view. Also the bathroom had a window. The owners, Andreas and Rosa, have been very kind with us. For instance they took care of us. Also they printed our boarding pass as required by the air company. We have been to many restaurants over our holidays and the food was okay. I would have gone home and said Greek food was nothing special. The food was really good and well presented. I enjoyed the “Mezes” and thought it was a good idea to sample all the traditional dishes on one plate. The show with Oskars was GREAT FUN! Kefalonia it’s everything we need + want!!!!!!!!!! We think the dancers are fantastic. Oskars (i think that is his name)is very exciting. My mum and nan had a great time dancing with him! The food, atmosphere and service were much better than i have seen anywhere else. Oskars is well worth the walk down and has great views and very nice waiters.